“Flossing” with a Waterpik is easier, and arguably more effective at cleaning in between your teeth than traditional floss. 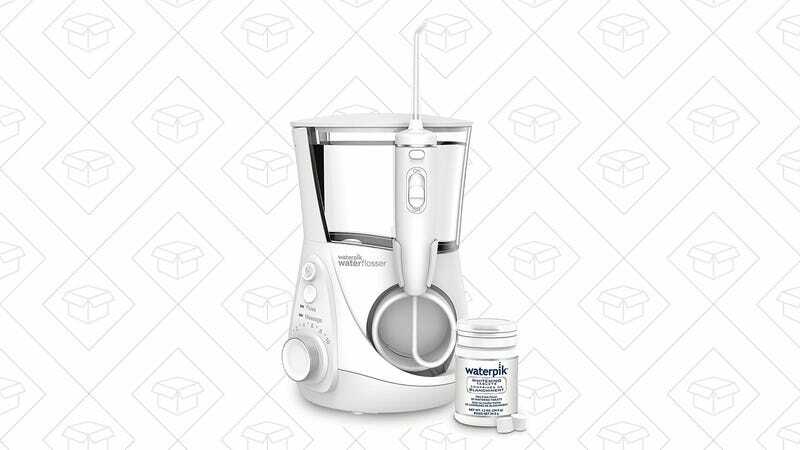 This discounted Waterpik Whitening Professional Water Flosser adds on to the usual benefits by whitening your teeth as well. 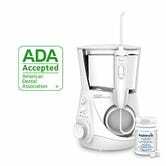 You add whitening tablets to the sprayer, so your teeth will gradually whiten the more you use it. After the $15 off coupon, today’s price of $76 is the lowest we’ve seen ever seen.